What Is the Purpose of the Rotating Watch Bezel? Watch bezels have evolved since the creation of wristwatches, beginning as a metal ring protecting the watch crystal and moving towards more functional uses. Many current wristwatches are manufactured with bezels designed to aid in tracking or telling time, as well as other functions. The three most common types are diving bezels, GMT 24-hour bezels and tachymeter bezels. 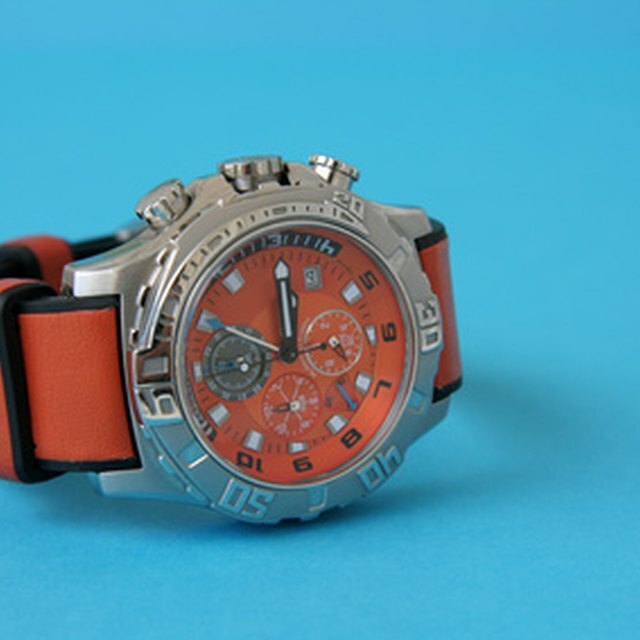 The diving bezel can be used to time a short length of time (often an undersea dive). Grip the bezel at the three o'clock and nine o'clock points and twist counterclockwise. Move the large arrow (often with a glowing dot) from the top of the watch bezel to the current position of the minute hand. Note that you can also place the main arrow at the a point in the future that you are timing until. Observe the watch on occasion, and the bezel will indicate minutes elapsed since the bezel was placed on the minute hand. Return the bezel to the 12 o'clock marker once you have completed timing. The GMT 24-hour bezel is used with a GMT hand on a watch or to simply track two time zones at the same time. Move the 24-hour bezel to match the longer GMT hand on the watch (which only rotates once every 24 hours) so that the GMT hand is pointing at the current time. Return the top bezel arrow to the 12 o'clock marker when no longer tracking the time, or to reset and track a different time zone. A tachymeter bezel can be used to measure speed based on the time it takes to travel a specific distance, usually in miles per hour. Activate the chronograph function of the watch at a mile indicator, then stop the chronograph at the next mile marker. 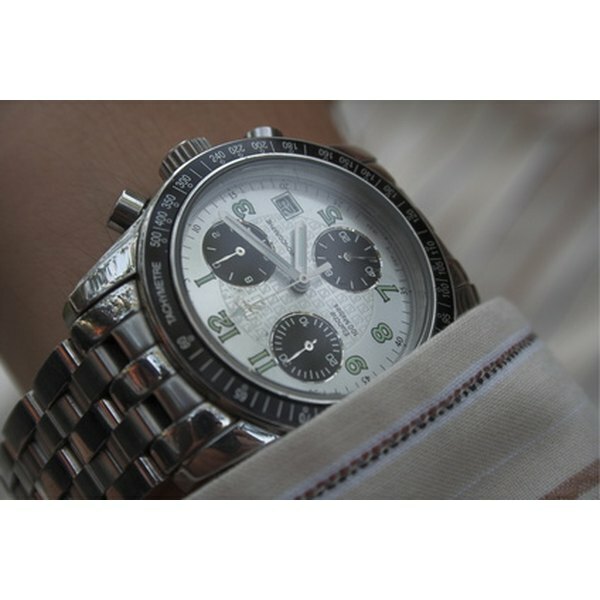 Check the chronograph second hand in relation to the bezel. It will indicate the movement speed since the first mile maker. Reset the chronograph to ready the function to be used again. Diving bezels are unidirectional to prevent the bezel being struck and making a dive last longer than recommended. Tachymeter bezels will be labeled MPH or KPH--be sure to determine which your watch tracks. Be careful whenever timing with a watch, as there is no audible alarm. David Hicks has recently graduated with a bachelor's degree in public affairs, with a focus on bioethics and social policy from a small private college in New York. He has been writing for more than 10 years, and spent the last four technical writing while not mired in schoolwork. Professionally, Hicks has published material on eHow, Answerbag and other websites. What Are the Parts of a Watch Face?